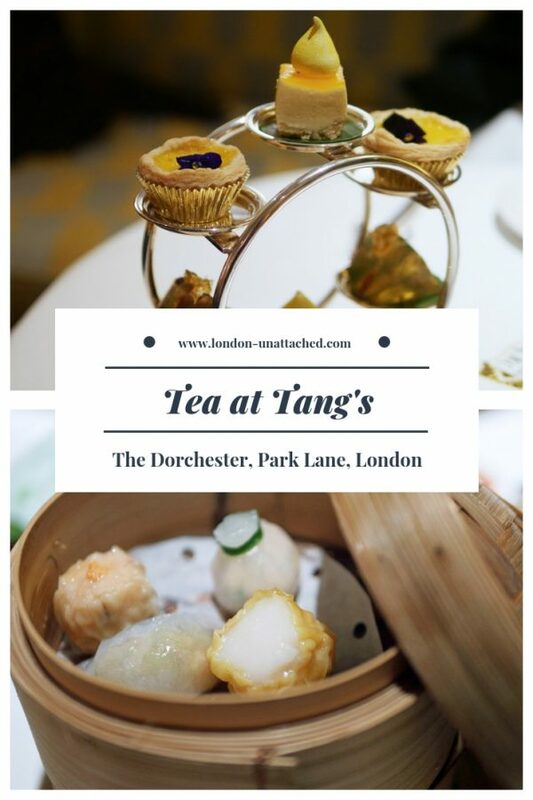 China Tang at the Dorchester – the Other Afternoon Tea! The Dorchester Hotel, that most British institution; afternoon tea in the Promenade or dinner at Alain Ducasse are special, ultra-luxury experiences for anyone. 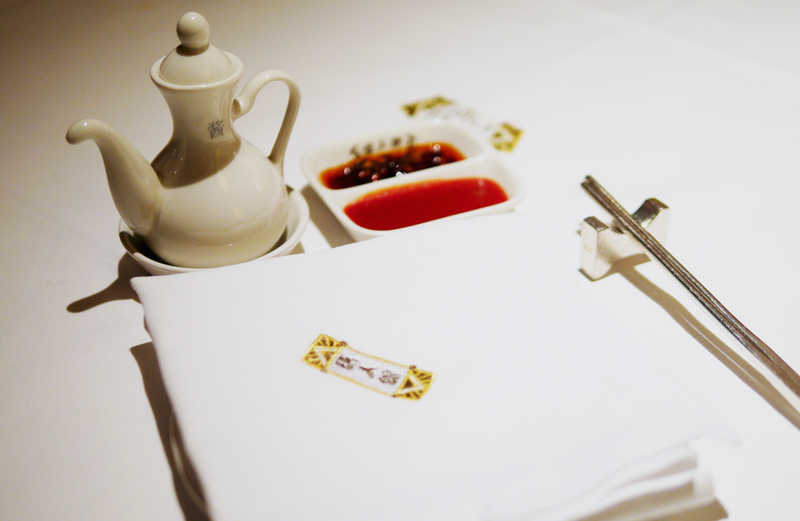 Of course, I was keen to try the newly launched Tea at Tang’s, a dim sum feast with handcrafted premium teas and went along to find out more. It’s a long time since I’ve been to China Tang. Opened in 2005, it was just a year or so later that I visited for dinner. 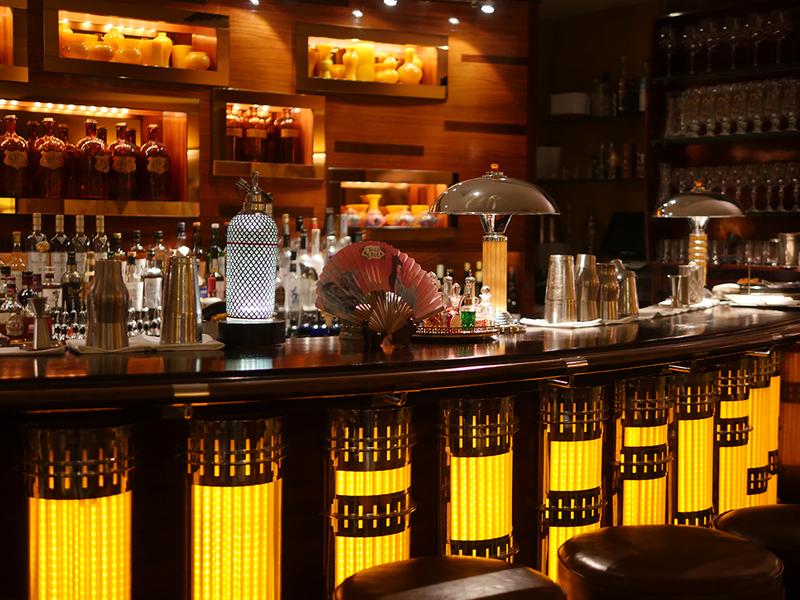 Conceived and created by Sir David Tang, one of the most iconic Asian entrepreneurs of his time, the restaurant is still opulent, an art deco masterpiece which brings luxury and style to a space on the lower ground floor at the back of the Dorchester. That sense of charm and luxury is partly from wonderful styling – hand embroidered silk wallpapers, comfortable chairs, stunning traditional and contemporary art. 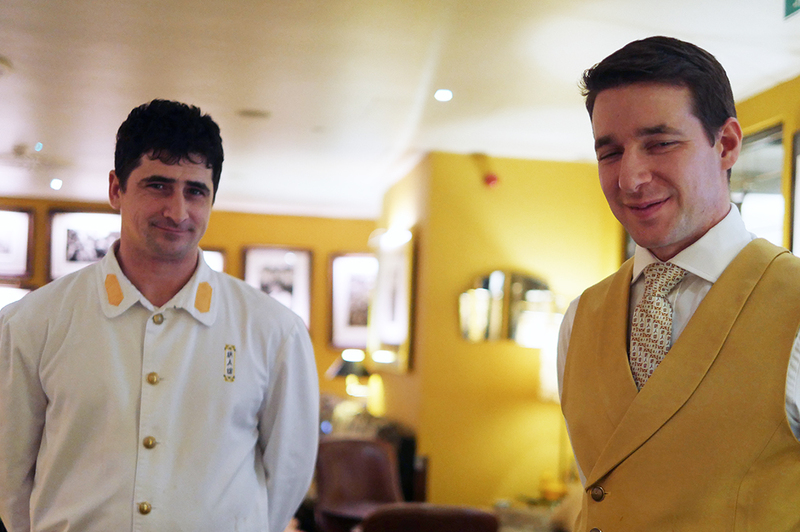 And partly from an immaculate and charming team of chefs and front of house staff. Afternoon Tea takes place in the bar and at first glance I was slightly hesitant, wondering how the dainty bar tables would cope with a tea service. In a trice, my concerns were whisked away as the table was extended with a clever wooden top, then covered with monogrammed white linen. The Dim Sum afternoon tea launched just a few weeks ago so I was intrigued to find out how it would match up to the iconic version served upstairs. It’s different – in exactly the right kind of way. To start, tea is served in fine white porcelain teapots with Chinese cups. I’d expect nothing less than the extensive fine tea menu that we were offered. My choice, silver needles was described as the ‘Champagne of white teas’. Here, from Mt Taimu, Fuding, grown at a height of 1000 metres above sea level, it’s a light fragrant white tea with notes of melon. 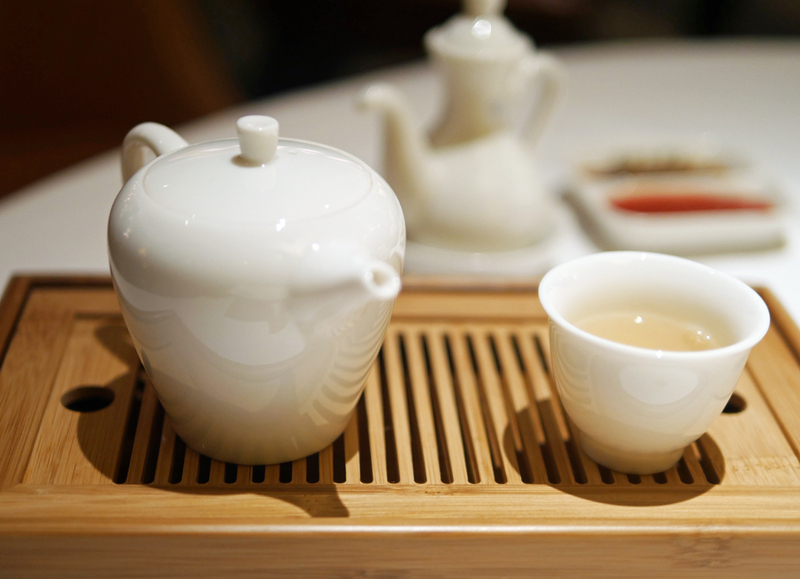 Perfectly suited to the careful service at China Tang, where the tea is deliberately served in small pots so it can be topped up carefully with hot water without tannins developing. And, a tea I particularly enjoy with the kind of delicate savoury dishes I was anticipating here. My companion ordered the Iron Goddess, an Oolong from Anxi, a deep golden tea with more kick than my delicate silver needles. 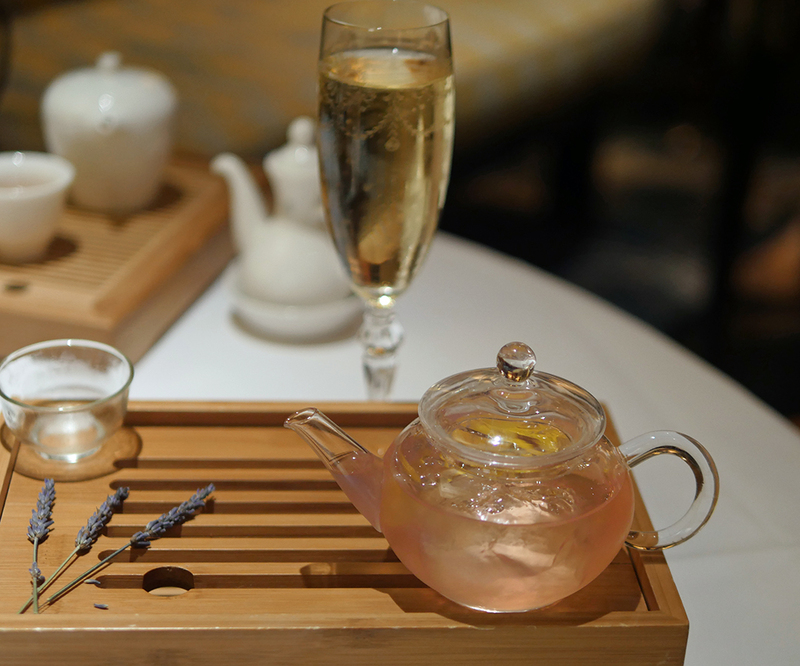 While I enjoyed a glass of Charles Heidsieck champagne, my companion was treated to a French Tea 75 – a twist on a classic French 75 with Pothacary Gin, Champagne Syrup and Lavender Tea. Such a pretty presentation, there are three cocktails to pair with the Dim Sum afternoon tea. 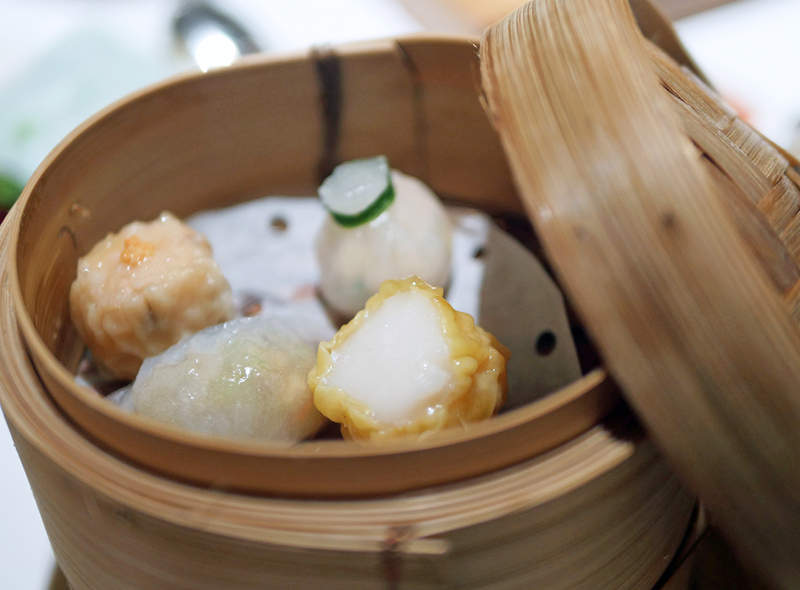 The savoury part of our Dim Sum afternoon tea started with a basket of beautiful steamed pieces. A delicious scallop dumpling was my personal favourite, but this section changes daily, depending on the chef. 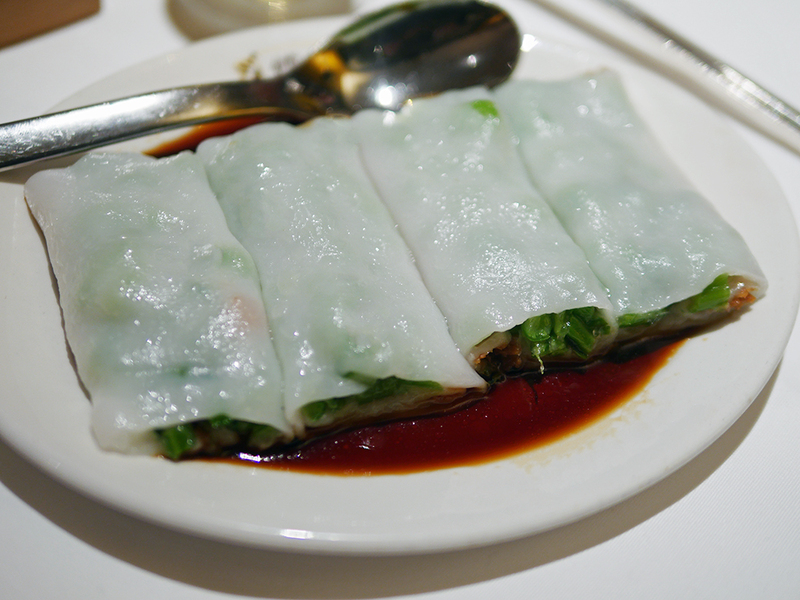 Gai Lan Cheung Fun was delicious, if quite substantial. Supple rice noodle rolls filled with crunchy vegetables and a crispy fried dough. Butterfly prawn toast was a stunning dish with a whole butterflied prawn topping the sesame toasts. My photo just doesn’t do this miniature masterpiece justice. 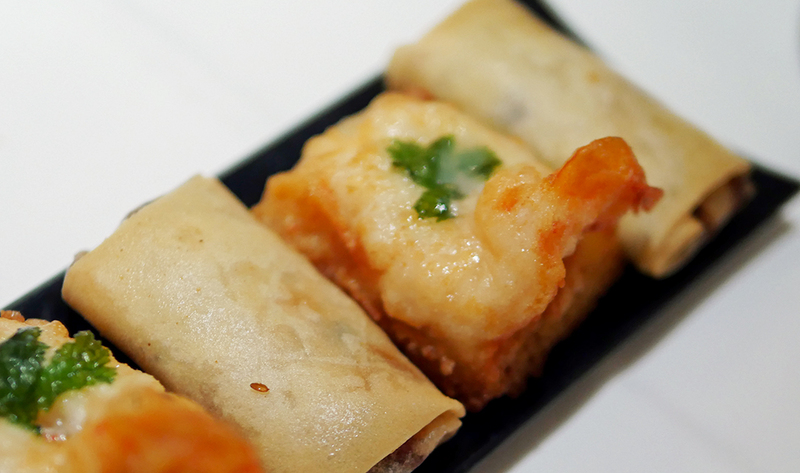 Alongside the prawn toasts were tiny crispy vegetarian spring roll. 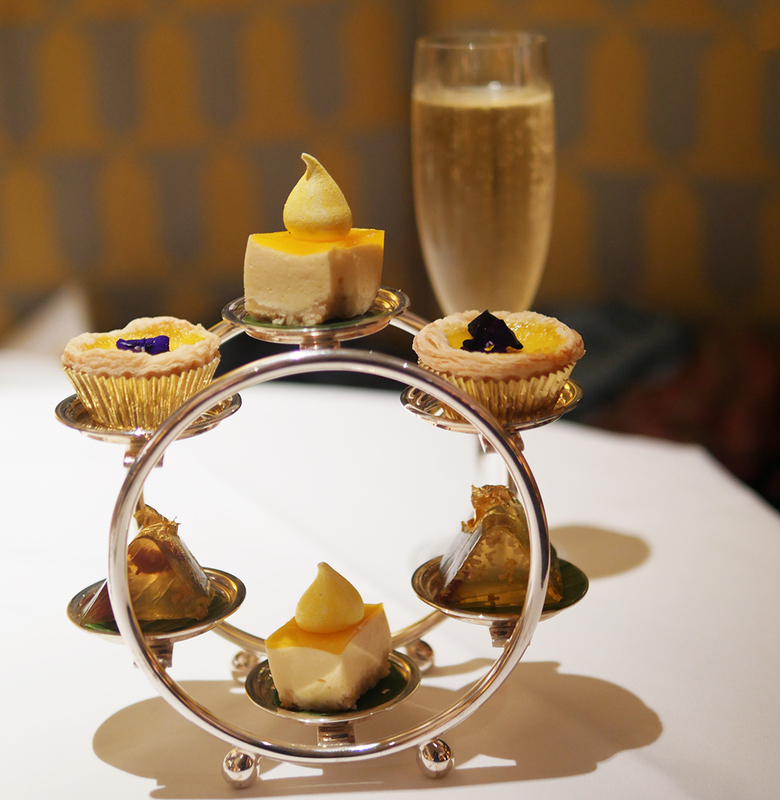 A stunning tea tower with Osmanthus Jelly, a Mandarin Delight cheesecake and a tiny traditional Hong Kong egg custard tart was every bit as good as any English afternoon tea selection. I loved the crispy sweet potato parcel stuffed with peanut coconut and sesame seed. Deliciously stickily sweet and my idea of dessert heaven. And, the chocolate dumplings filled with Valrhona chocolate and hazelnut ganache, served in a steamer, were so good I failed to take a single useful photograph! 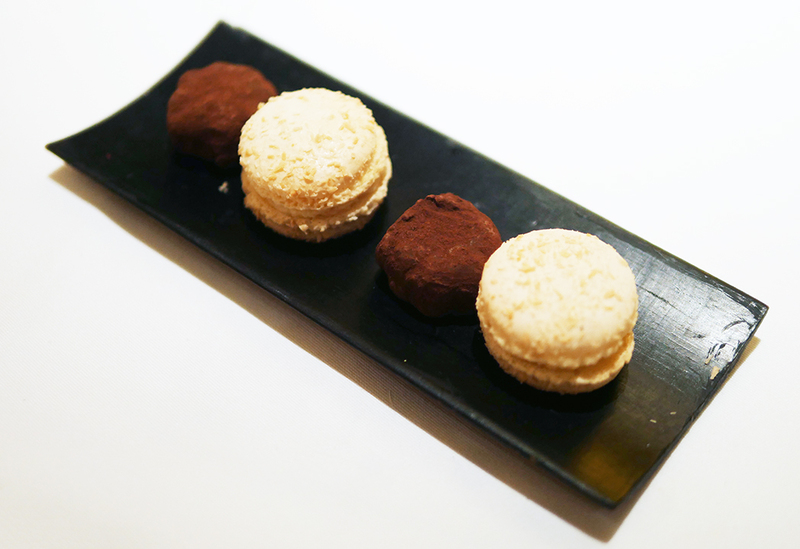 Finally, we enjoyed some tiny macaron and truffles before a short walk around the stunning space of the private dining rooms and restaurant. 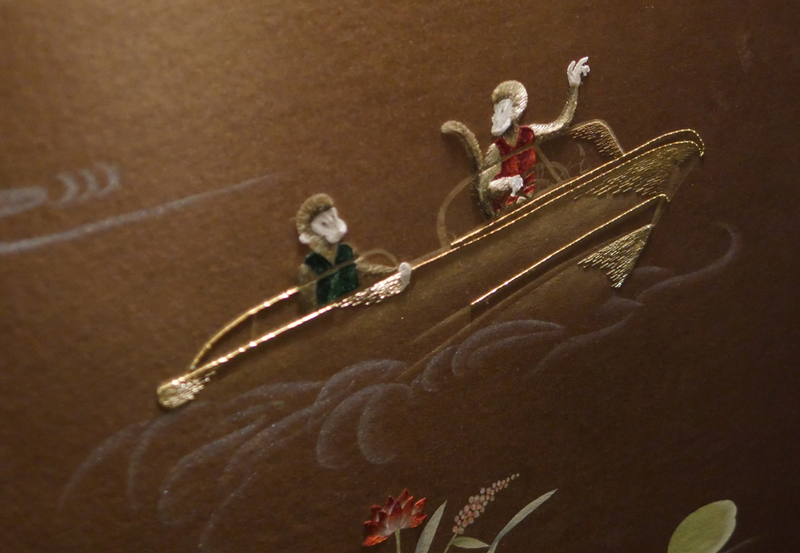 It’s an interior designer’s paradise right the way down to the hand embroidered silk wall coverings, a tribute to the late Sir David Tang, with tiny monkeys enjoying all his favourite activities. What a beautiful experience. If you are looking for an alternative way to celebrate the Year of the Pig, or just want to try at any time in the coming year I’d strongly recommend the afternoon tea at China Tang at the Dorchester. The tea itself is £46 with cocktails for £16 or Champagne starting at £17 a glass. Thinking about visiting and want to save this post for later? Why not pin it. Looking for alternative ideas for Chinese New Year? 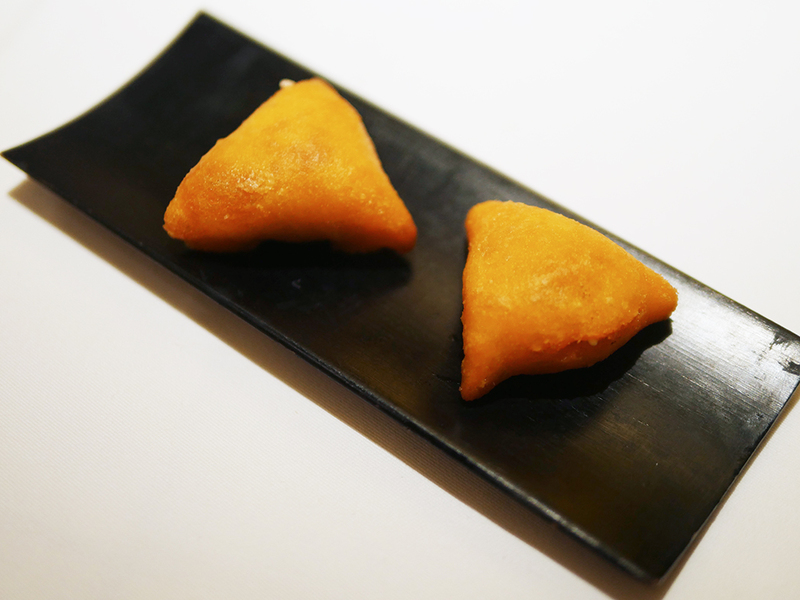 We hear Burger and Lobster have some very special fortune cookies this year. Hidden amongst fortunes such as “Pass the bill to the person on your left” and “This will be your most successful year…on Tinder” there will be the “fortunate fortune cookies” that are dipped in edible gold and dusted with gold flakes to create the most opulent fortune cookie in the UK. Between 4th – 10th Feb there’ll be prizes like a trip to the big apple and experiences up to £2000. Customers that order a jumbo lobster will be in for the chance to find one of the most expensive fortune cookies out there. 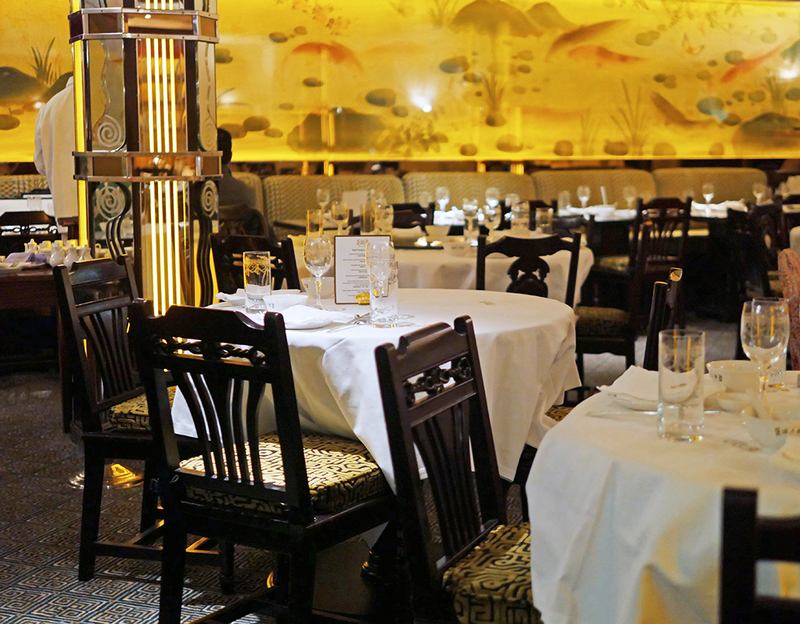 And, we have to mention another old favourite, Hakkasan. Here’s a review of the Hakkasan Chinese New Year menu from a couple of years ago. Disclosure: We were guests of China Tang but all content is editorially given.